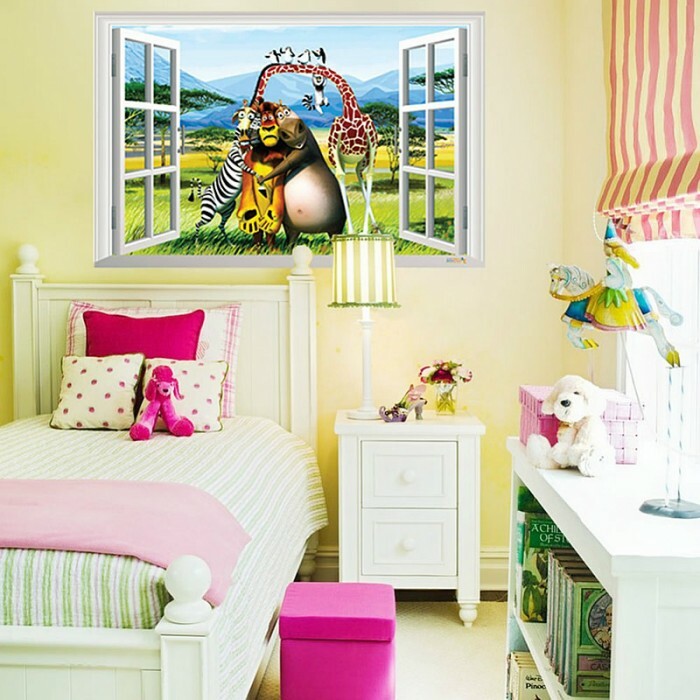 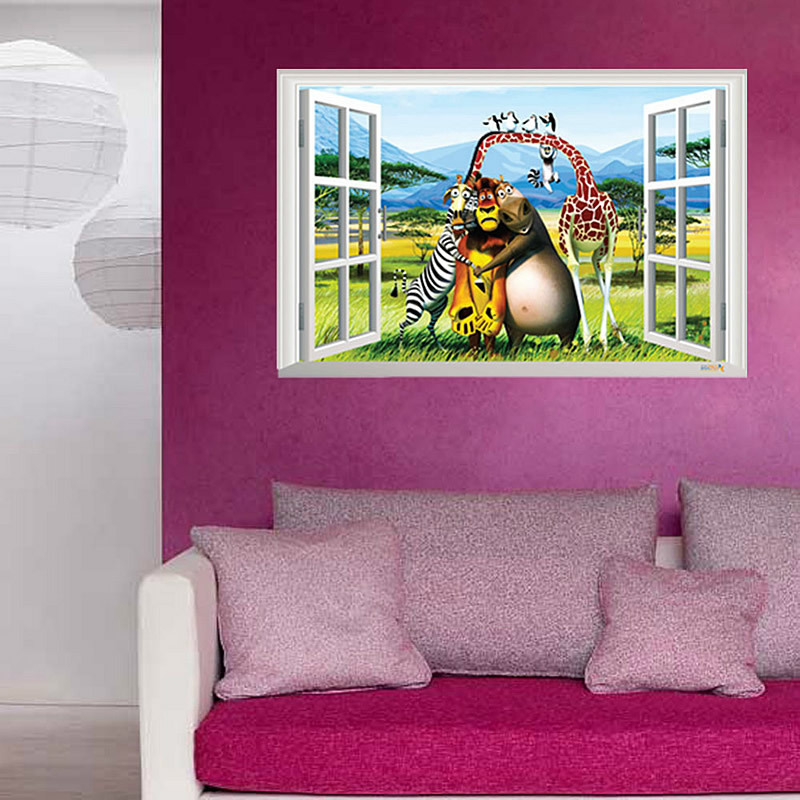 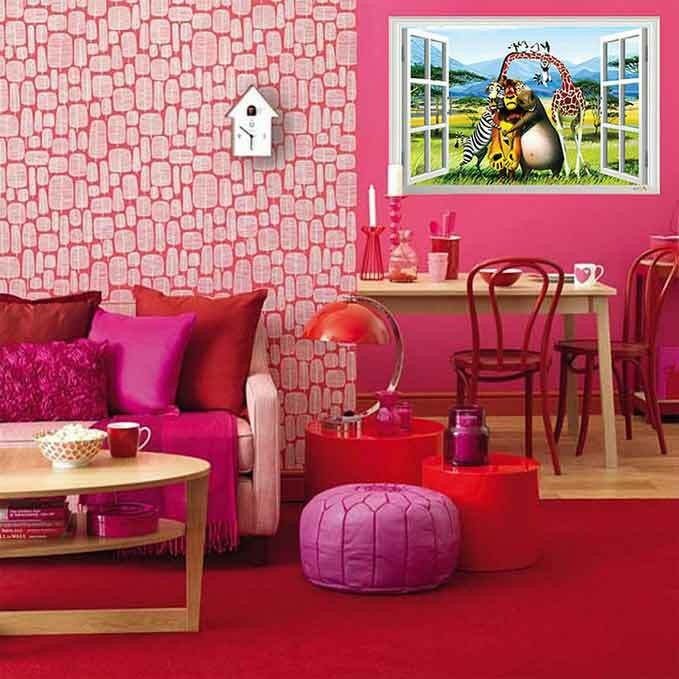 Open a window to the savannah with our 3D Window of the Movie Madagascar decal. 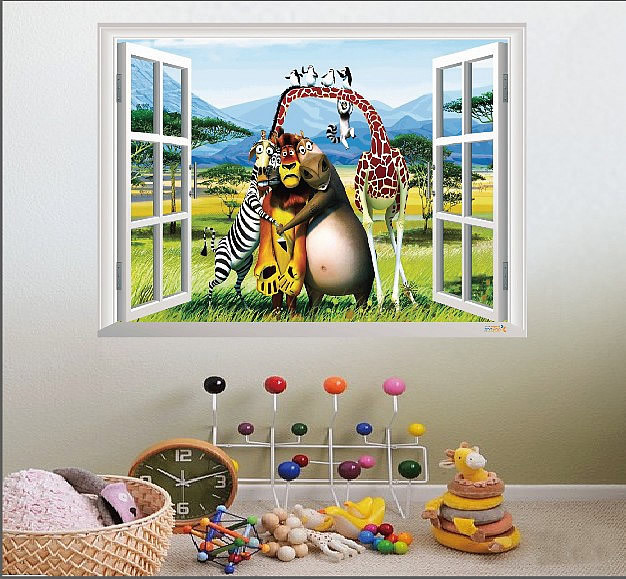 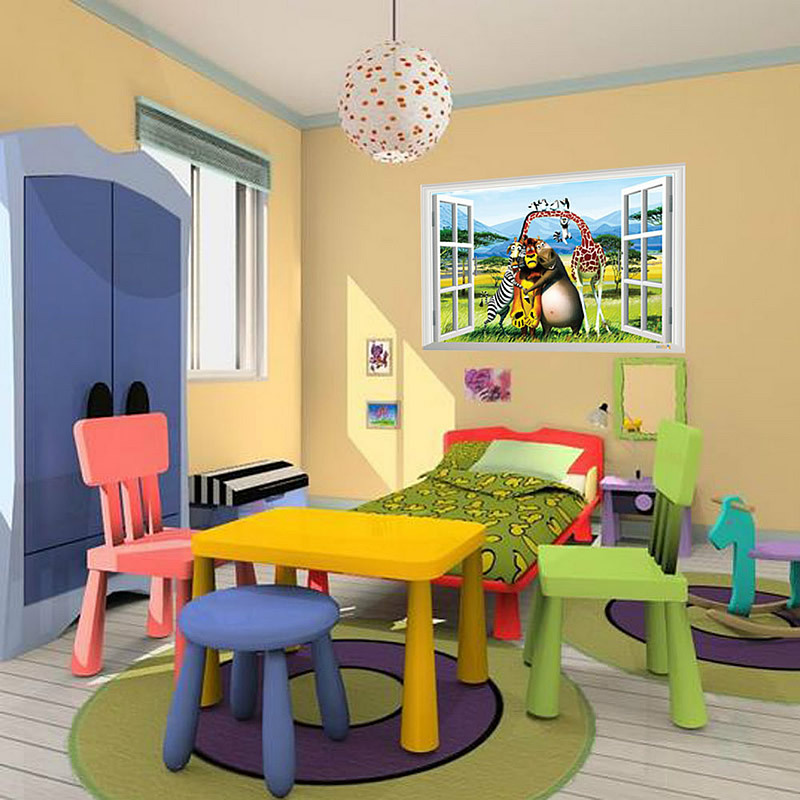 Gloria, Alex, Marty, and everyone’s favorite, Melman, have escaped from the zoo to come live in your little one’s room. 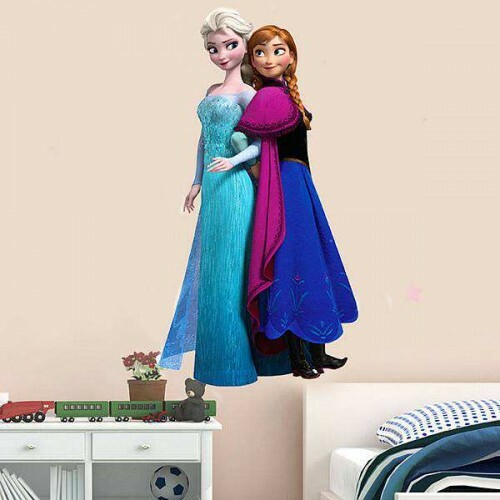 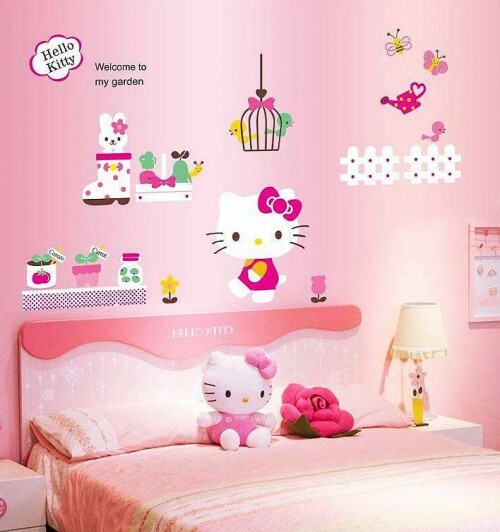 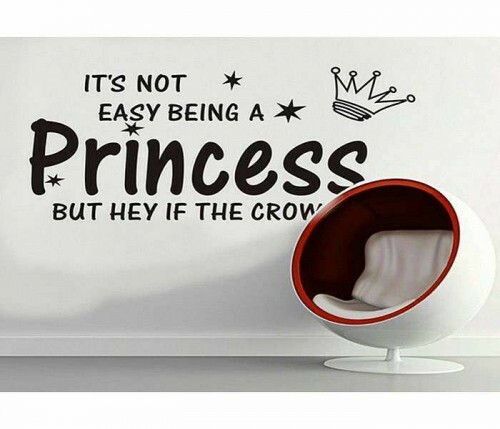 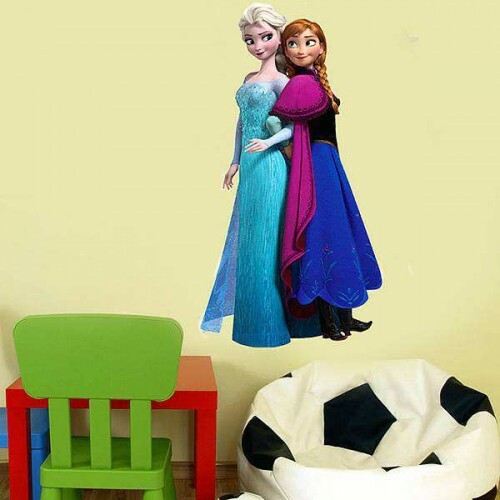 This sticker is sure to put a smile on everyone’s face since it installs in seconds thanks to its self-adhesive backing. 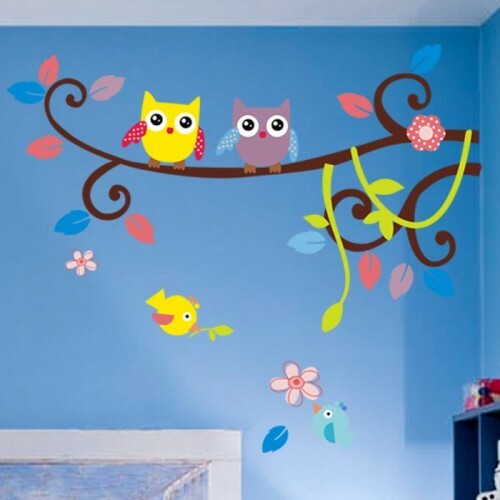 And even better, it can be removed just as easily and reused at a later time. 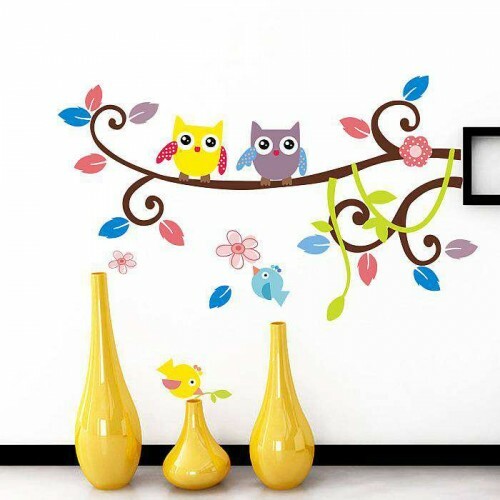 Our decals never cause any damage to the wall surface either. Size: 60cm x 90cm.